It’s been a very busy week, but I managed to stitch a few Chevrons…and more! We are preparing to move to our next camping location. 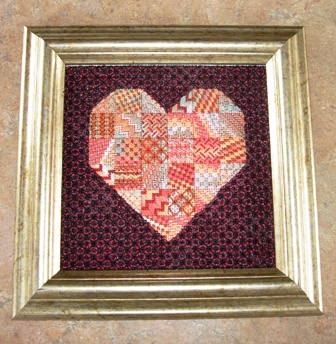 Doing so is kind of like tying off loose ends, weaving in bits, and getting a finished piece ready for framing. Yup—nitpicking chores! But there was some fun, too! I have a new grandniece named Peyton Marie born to the little boy I helped deliver too many years ago (who I’m proud to say is now a not so little member of the U. S. Navy)! 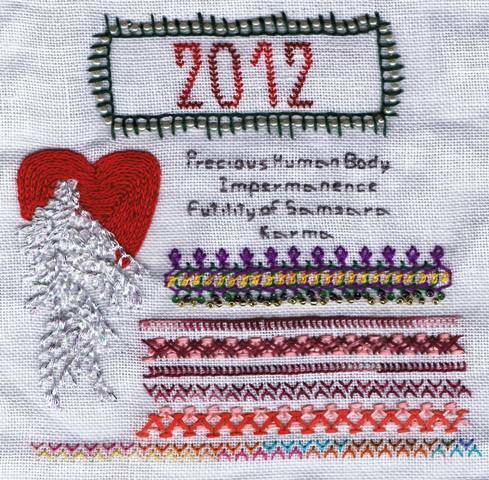 I started Sharon Boggon’s Online Class Studio Journal as a Designers Work Horse. I went to New Orleans to visit the Garden District Needlework Shop where I spent too much money but had so much fun! (I’ll be doing a full write-up about this incredible shop once we get relocated.) 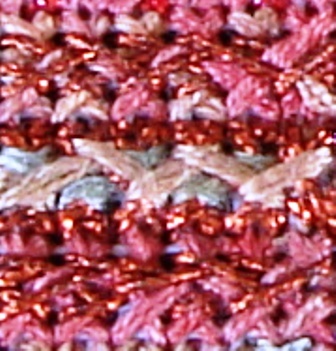 I used some new to me threads in stitching the TAST Week 6 Challenge: the Chevron Stitch. 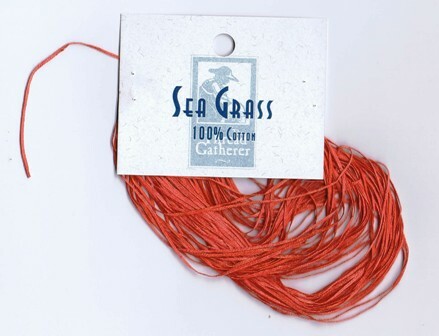 I have seen Sea Grass by The Thread Gatherer in catalogues, but not in a shop. The Garden District Needlework Shop had a supply, so I picked up a packet to try it out. It was very nice to work with. In some situations I could see using a laying tool, but in this case I simply used my needle to smooth the flat thread out. 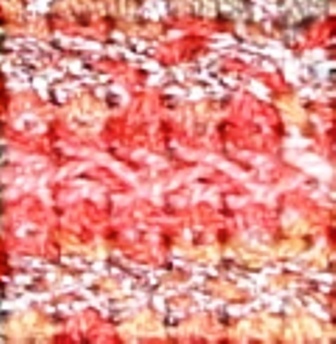 The texture reminded me of the shredded paper type of grass for Easter Baskets (as opposed to the plasticky stuff.) The colors are nice, too! I can definitely see a stash of Sea Grass in my future. 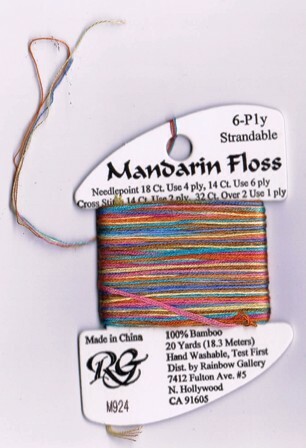 Another thread new to me was Rainbow Gallery’s Bamboo thread that is sold under the moniker, “Mandarin Floss.” Just looking through the bobbins on the stand, this color popped out at me. While I had no idea what I would do with it, I knew it would fit somewhere in my color world. I was right. Using the Sea Grass over the pink ribbon Chevrons and not being sure what the next stitch would be, nor what colors would be most fitting, the variegated bamboo thread provides a really nice bridge to just about anything! 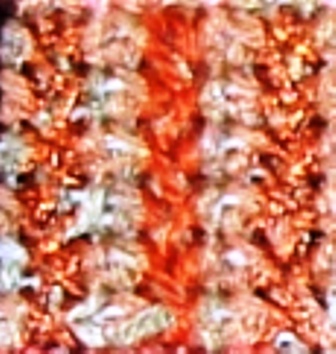 Wanting to use previous stitches to offset the Chevrons, I used the Mandarin in Fly Stitch to underline the Chevrons. Tell me! What would you do differently? Be tough. I can take it! Should I do something other than bands? When I have pinned things on my Boards I have given serious thought to creative property rights. But Time Thief (my favorite Blogging Tipster) pointed out in a recent post that there is another issue with Pinterest. Have you ever wondered how such sites make money? It has been the topic of discussion for savvy bloggers. The shady practices of Pinterest have even got the New York Times talking. I am removing my Pinterest links from my blogs. And as soon as I book mark the sites on my Boards, I’ll be terminating my relationship with Pinterest. I don’t do business with companies lacking in integrity.